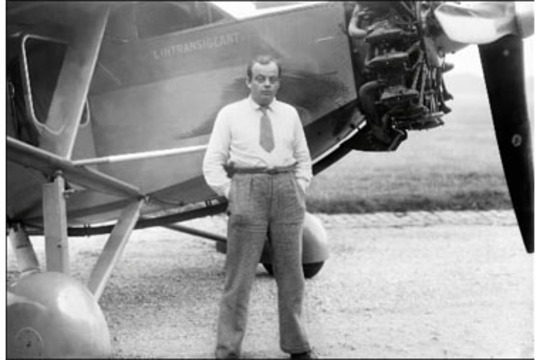 Today is the birthday (1900) of Antoine de Saint-Exupéry ( officially: Antoine Marie Jean-Baptiste Roger, comte de Saint Exupéry), a French aristocrat, writer, poet, and pioneering aviator, best remembered for his novella The Little Prince (Le Petit Prince), and also for his lyrical aviation writings, including Wind, Sand and Stars and Night Flight. Saint-Exupéry was a successful commercial pilot before World War II, working airmail routes in Europe, Africa, and South America. At the outbreak of war, he joined the French Air Force (Armée de l’Air), flying reconnaissance missions until France’s armistice with Germany in 1940. After being demobilized from the French Air Force, he travelled to the United States to persuade its government to enter the war against Nazi Germany. Following a 27-month stay in North America, during which he wrote three of his most important works, including The Little Prince, he joined the Free French Air Force in North Africa, although he was far past the maximum age for such pilots and in declining health. He disappeared over the Mediterranean on his last assigned reconnaissance mission in July 1944, and is believed to have died at that time. 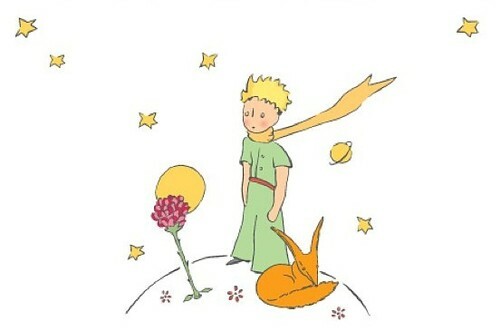 The Little Prince, is the 3rd most-translated book in the world and was voted the best book of the 20th century in France. Translated into more than 250 languages and dialects (as well as Braille), selling nearly two million copies annually with sales totaling over 140 million copies worldwide, it has become one of the best-selling books ever published. It has even been translated into Toba, an indigenous language of northern Argentina, as So Shiyaxauolec Nta’a. Anthropologist Florence Tola, notes that it is admirably suited, with the prince’s travels among the stars, and discussions with the rose and fox, to the Toba worldview. In the midst of personal upheavals and failing health, he produced almost half of the writings for which he would be remembered, including a tender tale of loneliness, friendship, love, and loss, in the form of a young alien prince fallen to Earth. An earlier memoir by the author had recounted his aviation experiences in the Sahara Desert, and he drew on those same experiences in The Little Prince. 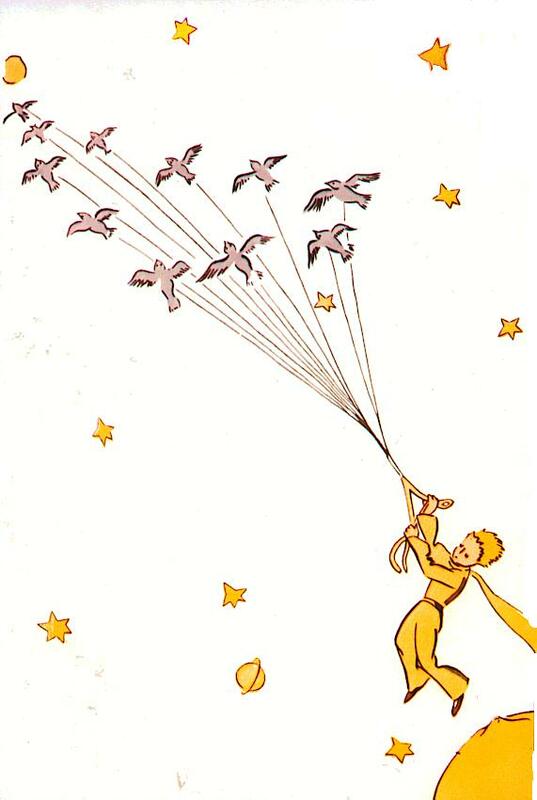 Over the course of eight days stranded in the desert, as the narrator of The Little Prince attempts to repair his plane, the little prince recounts the story of his life. 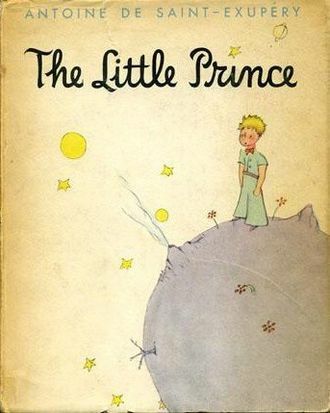 The prince begins by describing life on his tiny home planet: in effect, an asteroid the size of a house (which the narrator believes to be the one known as B-612). The asteroid’s most prominent features are three minuscule volcanoes (two active, and one dormant or extinct) as well as a variety of plants. The prince describes spending his earlier days cleaning the volcanoes and weeding out certain unwanted seeds and sprigs that infest his planet’s soil; in particular, pulling out baobab trees that are constantly trying to grow and overrun the surface. The prince appears to want a sheep to eat such undesirable plants, until the narrator informs him that a sheep will even eat roses with thorns. Upon hearing this, the prince tells of his love for a mysterious rose that suddenly began growing on the asteroid’s surface some time ago. The prince says he nourished the rose and listened to her when she told him to make a screen or glass globe to protect her from the cold wind. Although the prince fell in love with the rose, he also began to feel that she was taking advantage of him, and he resolved to leave the planet to explore the rest of the universe. Although the rose finally apologized for her vanity, and the two reconciled, she encouraged him to go ahead with his journey and so he traveled onward. The prince has since visited six other asteroids, each of which was inhabited by a foolish, narrow-minded adult, including: a king with no subjects; a conceited man, who believed himself the most admirable person on his otherwise uninhabited planet; a drunkard who drank to forget the shame of being a drunkard; a businessman who endlessly counted the stars and absurdly claimed to own them all; a lamplighter who mindlessly extinguished and relighted a lamp every single minute; and an elderly geographer, so wrapped up in theory that he never actually explored the world that he claimed to be mapping. When the geographer asked the prince to describe his home, the prince mentioned the rose, and the geographer explained that he does not record “ephemeral” things, such as roses. 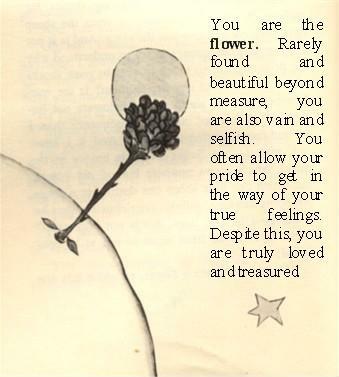 The prince was shocked and hurt by this revelation, since the rose was of great importance to him on a personal level. The geographer recommended that the prince next visit the planet Earth. On Earth, the prince landed in the desert, leading him to believe that Earth was uninhabited. He then met a yellow snake that claimed to have the power to return him to his home, if he ever wished to return. The prince next met a desert flower, who told him that she had only seen a handful of men in this part of the world and that they had no roots, letting the wind blow them around and living hard lives. After climbing the highest mountain he had ever seen, the prince hoped to see the whole of Earth, thus finding the people; however, he saw only the enormous, desolate landscape. When the prince called out, his echo answered him, which he interpreted as the mocking voices of others. Eventually, the prince encountered a whole row of rosebushes, becoming downcast at having once thought that his own rose was unique. He began to feel that he was not a great prince at all, as his planet contained only three tiny volcanoes and a flower that he now thought of as common. He lay down in the grass and wept, until a fox came along. The fox desired to be tamed and explained to the prince that his rose really was indeed unique and special, because she was the object of the prince’s love. The fox also explained that, in a way, the prince had tamed the rose, and that this is why the prince was now feeling so responsible for her. The prince then took time to tame the fox, though the two ultimately parted ways, teary-eyed. The prince next came across a railway switchman, who told him how passengers constantly rushed from one place to another aboard trains, never satisfied with where they were and not knowing what they were after; only the children among them ever bothered to look out the windows. A merchant then talked to the prince about his product, a pill that eliminated thirst, which was very popular, saving people fifty-three minutes a week. The prince replied that he would instead gladly use that extra time to go around finding fresh water. Back in the present moment, it is the eighth day after the narrator’s plane-crash and the narrator is dying of thirst; fortunately, he and the prince together find a well. The narrator later finds the prince talking to the snake, discussing his return home and eager to see his rose again, who he worries has been left to fend for herself. The prince bids an emotional farewell to the narrator and states that if it looks as though he has died, it is only because his body was too heavy to take with him to his planet. The prince warns the narrator not to watch him leave, as it will make him upset. The narrator, realizing what will happen, refuses to leave the prince’s side; the prince consoles the narrator by saying that he only need look at the stars to think of the prince’s lovable laughter, and that it will seem as if all the stars are laughing. The prince then walks away from the narrator and allows the snake to bite him, falling without making a sound. The next morning, the narrator tries to look for the prince, but is unable to find his body. The story ends with the narrator’s drawing of the landscape where the prince and the narrator met and where the snake took the prince’s life. The narrator requests that anyone in that area encountering a small man who refuses to answer questions should contact the narrator immediately. According to the author himself it was extremely difficult to start his creative writing processes. Biographer Paul Webster wrote of his style “Behind Saint-Exupéry’s quest for perfection was a laborious process of editing and rewriting which reduced original drafts by as much as two-thirds of their length.” Saint-Exupéry frequently wrote at night, usually starting about 11 p.m. accompanied by a tray of strong black coffee. In 1942 he related to his American English teacher, Adèle Breaux, that at such a time of night he felt “free” and able to concentrate, “writing for hours without feeling tired or sleepy” until he instantaneously dozed off. He would wake up later, in daylight, still at his desk with his head on his arms. Saint-Exupéry said it was the only way he could work, as once he started a writing project it became an obsession. 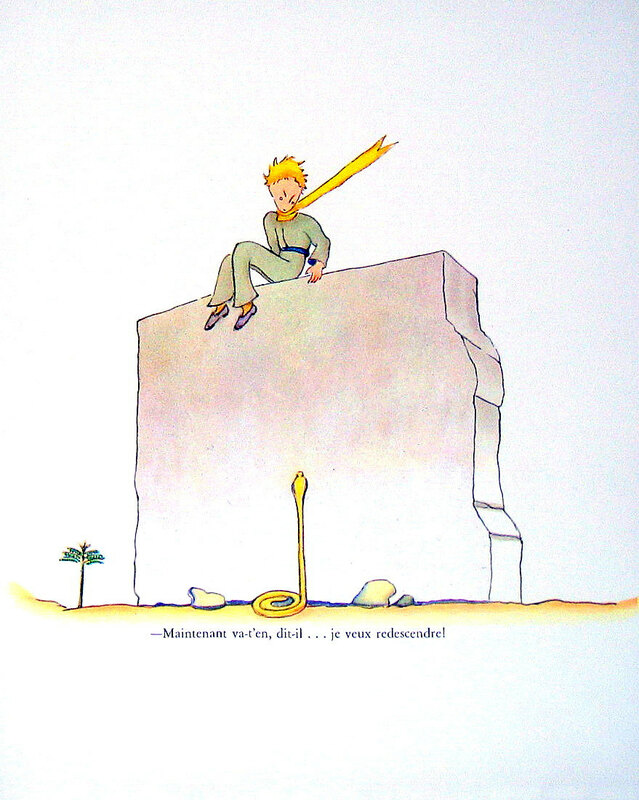 In The Little Prince, its narrator, the pilot, talks of being stranded in the desert beside his crashed aircraft. This account clearly drew on Saint-Exupéry’s own experience in the Sahara, an ordeal described in detail in his 1939 memoir Wind, Sand and Stars (original French: Terre des hommes). 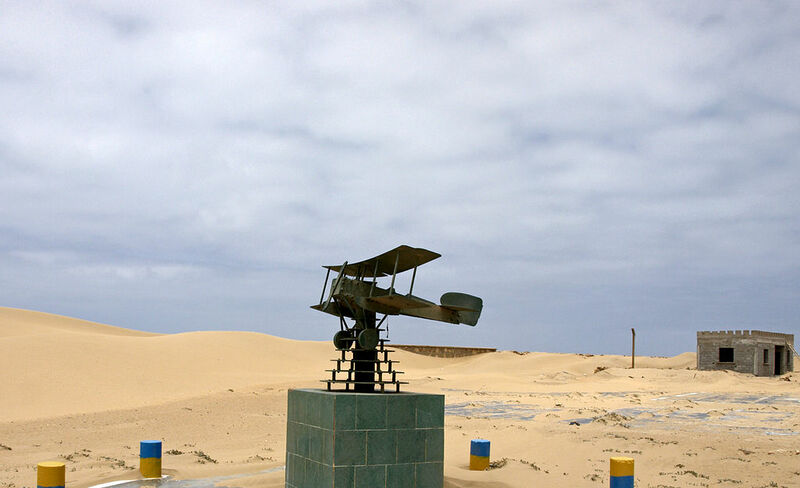 On December 30, 1935, at 02:45 am, after 19 hours and 44 minutes in the air, Saint-Exupéry, along with his copilot-navigator André Prévot, crashed in the Sahara desert. They were attempting to break the speed record for a Paris-to-Saigon flight in a then-popular type of air race, called a raid, and win a prize of 150,000 francs. Their plane was a Caudron C-630 Simoun, and the crash site is thought to have been near to the Wadi Natrun valley, close to the Nile Delta. Both miraculously survived the crash, only to face rapid dehydration in the intense desert heat. Their maps were primitive and ambiguous. Lost among the sand dunes with a few grapes, a thermos of coffee, a single orange, and some wine, the pair had only one day’s worth of liquid. They both began to see mirages, which were quickly followed by more vivid hallucinations. By the second and third days, they were so dehydrated that they stopped sweating altogether. Finally, on the fourth day, a Bedouin on a camel discovered them and administered a native rehydration treatment that saved Saint-Exupéry and Prévot’s lives. In the novella the wise fox, believed to be modeled after the author’s intimate New York City friend Silvia Hamilton Reinhardt, tells the prince that his rose is unique and special, because she is the one that he loves. The novella’s iconic phrase, “One sees clearly only with the heart”, is believed to have been suggested by Silvia Hamilton. The fearsome, grasping baobab trees, researchers have contended, may have been meant to represent Nazism attempting to take over and destroy the planet. The little prince’s reassurance to the pilot that his dying body is only an empty shell resembles the last words of Antoine’s dying younger brother François, who told the author, from his deathbed: “Don’t worry. I’m all right. I can’t help it. It’s my body”. The literary device of presenting philosophical and social commentaries in the form of the impressions gained by a fictional extraterrestrial visitor to Earth had already been used by the philosopher and satirist Voltaire in his story Micromégas of 1752 — a classic work of French literature with which Saint-Exupéry was undoubtedly familiar. 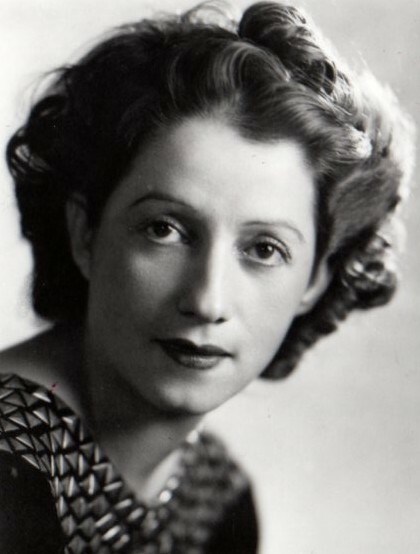 The rose in The Little Prince was likely inspired by Saint-Exupéry’s Salvadoran wife, Consuelo with the small home planet being inspired by her small home country El Salvador, also known as “The Land of Volcanoes”. Despite a difficult marriage, Saint-Exupéry kept Consuelo close to his heart and portrayed her as the prince’s Rose whom he tenderly protects with a wind screen and under a glass dome on his tiny planet. Saint-Exupéry’s infidelity and the doubts of his marriage are symbolized by the vast field of roses the prince encounters during his visit to Earth. Saint-Exupery devoted himself to the book on mostly midnight shifts, in his home on Long Island usually starting at about 11 p.m., and fueled by quantities of scrambled eggs on English muffins, gin and tonics, Coca-Colas, black coffee, and cigarettes. Sounds good, even though I write in the morning hours (usually 3 am to 7 am), and drink more Coca-cola than gin and tonic. I have been a devotee of scrambled eggs (and other ways to cook eggs – just gave a talk on preparing eggs), all of my life. My mother made them in a saucepan, as do many of the English, but I prefer the U.S. method of using a skillet. Beat 2 or 3 eggs lightly in a cup (you can add a bit of milk, but I don’t). Heat the skillet over a medium-low flame, then add a big knob of butter. 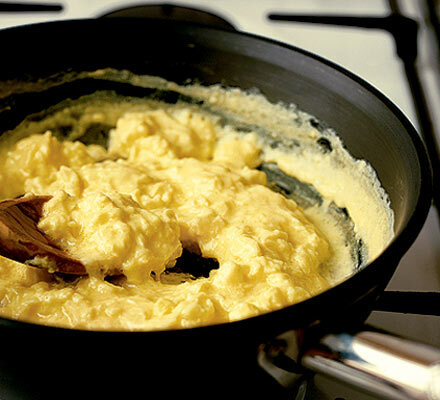 Melt the butter and, before it is sizzling, add the eggs. Worry them with a wooden spoon or spatula, making sure they do not stick. When they have stiffened enough so that they cohere but before they are dry, remove them from the heat and serve immediately. They should be moist and can even be slightly runny (not too much) because they will continue to cook after they have been taken from the heat. I usually eat them with some bacon or sausages and buttered toast, but you can also add ingredients to them in the same way you do an omelet – herbs, curry, mushrooms, sliced red peppers, etc. As with all cooking, don’t follow a recipe, not even mine.